A couple of years ago I invested in a Nikon D3200 Digital SLR which is amazing. The only problem is, I never have it with me and it’s just too impractical to carry it around with me at all times. 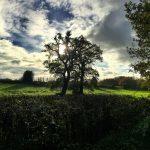 In November 2015 I got myself an iPhone 6s accompanied by an Olloclip 4-in-1 lens and decided to start an Instagram account and see where it took me. I take my photos whenever I can, on lunchtime walks and weekend dog walks, even when I’m putting the bin out in the morning. Posting regularly to Instagram has forced me to try to push my own boundaries and try not to repeat myself, looking for something interesting in seemingly everyday situations. I never go anywhere without my iPhone and Olloclip! My environment dictates to some extent the topic of my photos and I’m lucky enough to be based in beautiful West Sussex in the United Kingdom. I’m a sunset and sunrise fanatic and get way too excited when a good one happens. I am often seen at the side of the road somewhere between home and work capturing a ‘moment’. I love landscapes and cloudscapes but am equally drawn to the macro world with it’s infinite levels of detail. I love symmetry, light, colour and texture and I’m driven to create beautiful photos of things which most people would walk past without even noticing. A small selection of my macro nature images were selected to be used in an Apple ‘Shot on iPhone’ campaign last year and I was honoured to be included in the 2016 hard backed book which I was delighted to receive in the post in December. More recently, one of my photos has been chosen for inclusion in the 2018 Hengistbury Head calendar. I have made wonderful friends through Instagram and been inspired by an infinite array of visual possibilities created by like minded people all over the world. 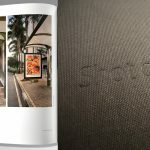 I have also had some wonderful feedback about my images and have decided to make some of my work available in the form of canvas and framed prints.